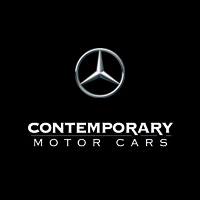 Finding the right new Mercedes-Benz for your lifestyle is easy at Contemporary Motor Cars. Our Mercedes-Benz dealership near Holmdel, NJ, stocks a wide selection of Mercedes-Benz cars, SUVs and vans, and our Mercedes-Benz specialists can help you find the one that’s right for you. Come explore a Mercedes-Benz GLE or GLA SUV if you want style, spaciousness and safety in equal measure. Looking to own the road in a head-turning sedan? The Mercedes-Benz E-Class or S-Class lines could be right for you. Add to your business’ fleet with a new Mercedes-Benz Metris or Sprinter van, or explore our Mercedes-Benz AMG® inventory for racetrack-ready options. Visit Contemporary Motor Cars to Experience the Difference today!